Our mop bucket and wringer combo is molded from polyethylene for maximum strength and long life. 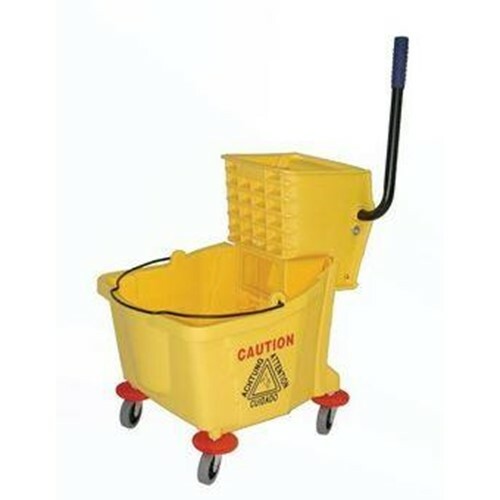 The yellow bucket has 3 inch non marking casters with a side press wringer Size is 26 32 quart. Dimensions are 16 5 per 8 inches Height x 15 1 per 2 inches Wide x 20 1 per 2 inches Long.